World Amateur Radio Day (WARD) is observed every April 18. The date marks the founding of the International Amateur Radio Union (IARU) back in 1925. 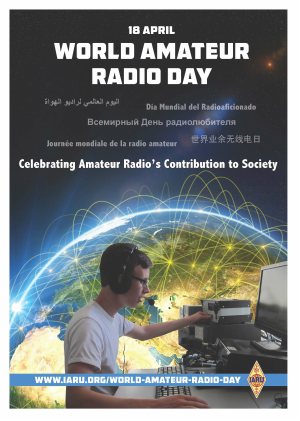 Each year, radio amateurs everywhere will get on the air and celebrate Amateur Radio’s contribution to society. Read the full ARRL article here.